Seeking for the answer to clean Internet cookies on iPhone for the sake of your privacy? Find the best solution in this tutorial about how to clean Internet cookies on iPhone below. 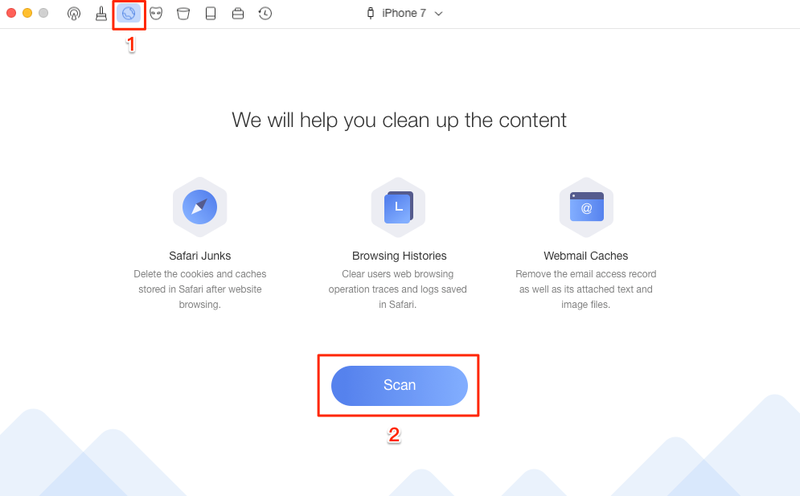 Download this fantastic iPhone cleaner right before you follow the step-by-step guide to clean Internet Cookies on iPhone. Cookies are those files typically stored use-specific information such as selection in a form, shopping cart contents, or authentication data, which allows a web server to identify a user and serve up customized pages or login information to user's browser when revisiting a specific page. While in view of the nature of cookie, sometimes those cookies on iPhone may also threaten your privacy. So you may need to delete such installed cookies to avoid privacy leaks. Luckily, now PhoneClean will protect your iPhone by removing Internet cookies from your iPhone as you wish. Must Read: What is the Other on my iPhone? 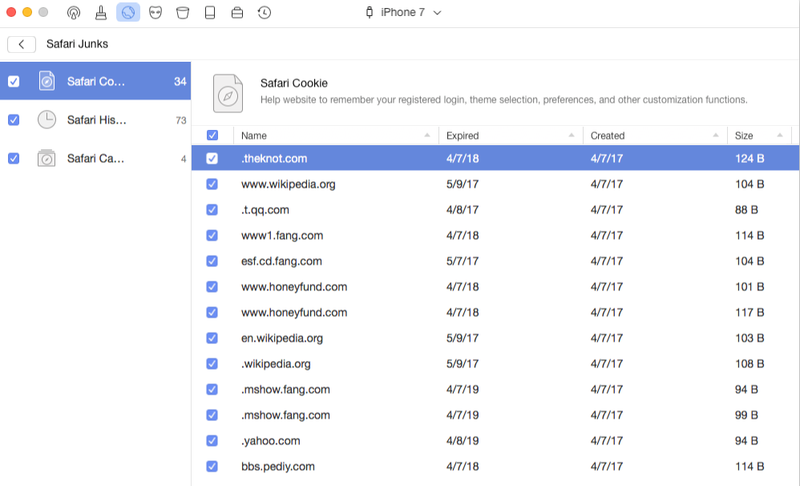 Offer a permanent deletion for Internet cookies - Internet cookies on iPhone can have many uses, the main one allowing a web server to record user's personal info. PhoneClean will dig every corner of your iPhone and find out all saved Internet cookies. Then it will make a permanent deletion of all target cookies so that your important personal info will be safely guarded. Compatible with all Apple devices - Based on its superior designed features, PhoneClean is compatible with all the iOS devices including iPhone, iPad, iPod touch, etc. and works on PC / Mac. 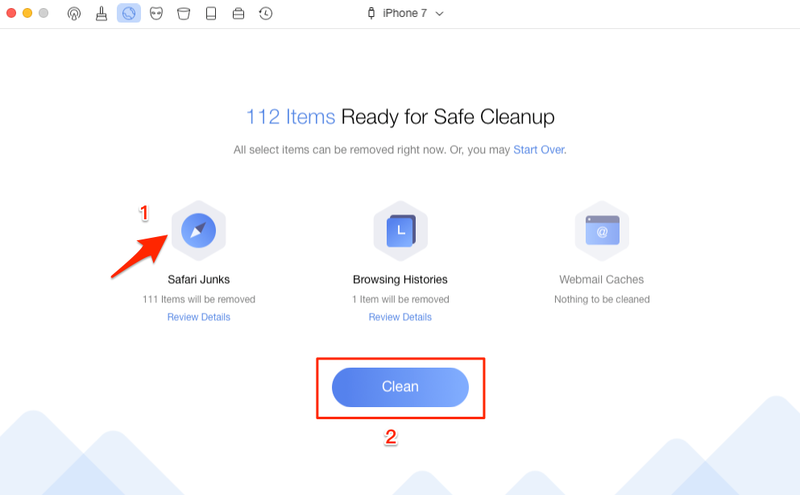 Before you get started with the operation, firstly download and install PhoneClean and connect iPhone to your computer. Step 1. After you run PhoneClean, tap Internet Clean, and click scan button. Step 2. After the scan is over, click Safari Junks to view the Internet cookies on iPhone. Step 3. Go back to the result page, click Clean button. Does this iPhone Cleaner sound too wonderful to be true? Why not start a free trial right now and try it out yourself? If you feel pleased with this utility, please share this article with your friends. Any questions? Put them in the comments section or contact us directly.